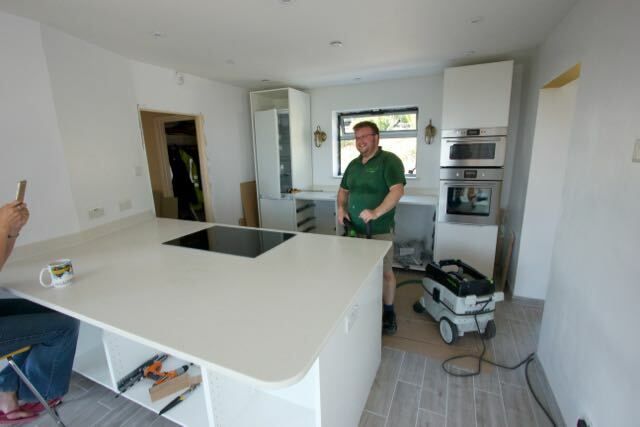 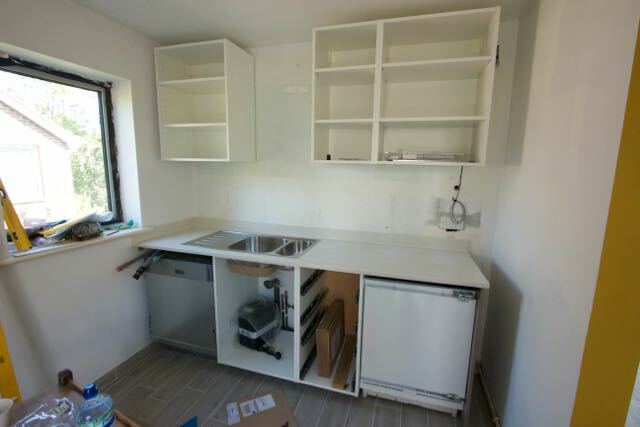 Neil from The Little Woodshed asked us to get involved with this project due to the size and weight of the main worktop. 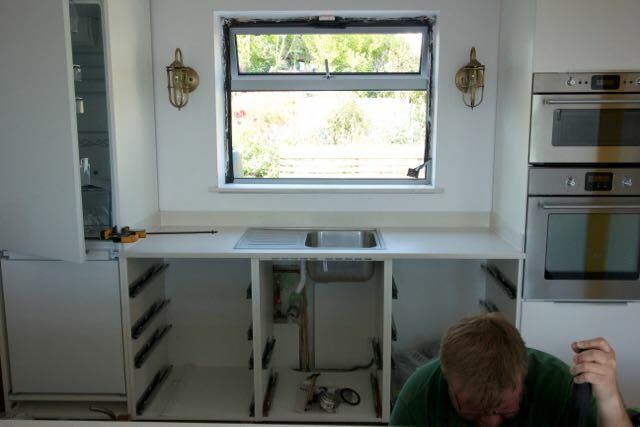 Its fabricated at 2.4 meters by 1.4 meters so it is a fairly weighty item, access to the property wasn’t ideal either, we had to carry the Hanex down a steep concrete exterior staircase. 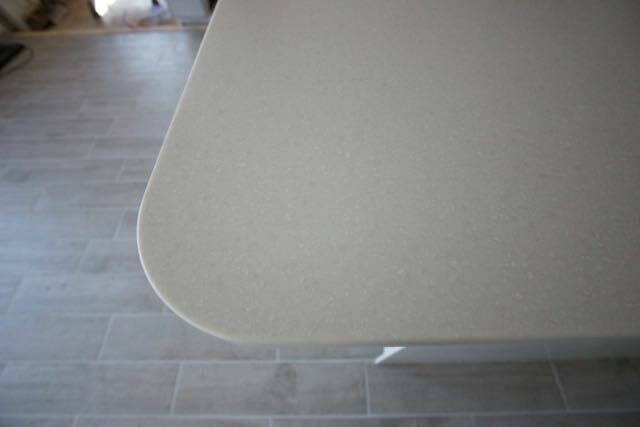 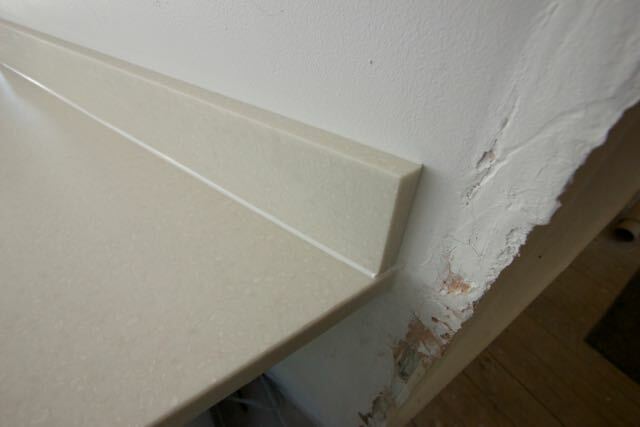 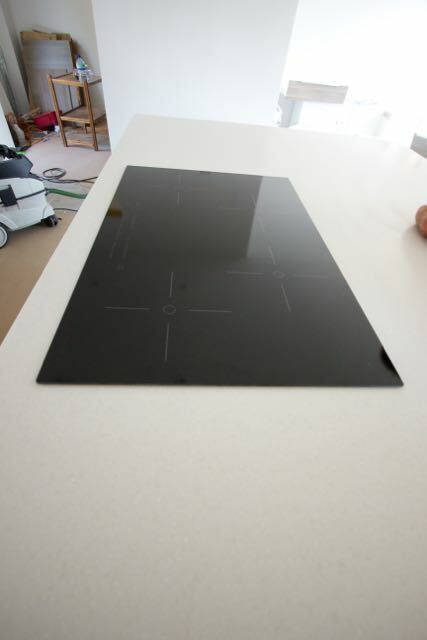 This worktop has a join running the complete length, although not completely invisible it is completely seamless and hard to spot. 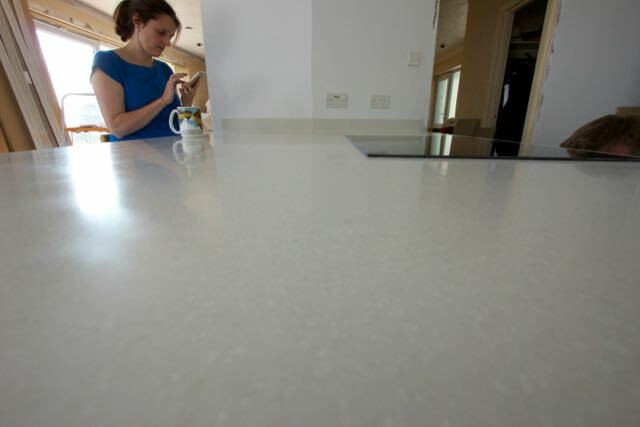 Neils client, Lisa, is an interior designer and runs a company called Honey Interior Design, Lisa was a pleasure to work for.